Via Milan Records in association with Comedy Central Records, the official soundtrack for Comedy Central’s BROAD CITY will be available October 28th. 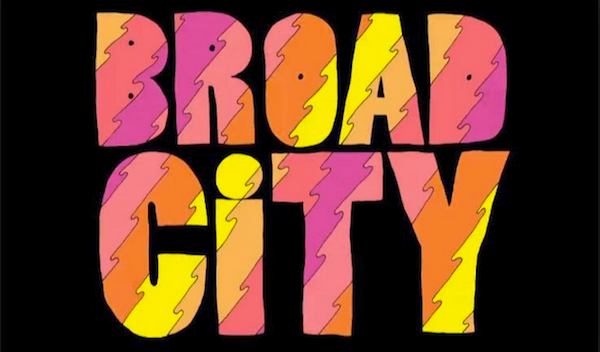 “Broad City’s” Original Series Soundtrack is curated by Broad City’s music supervisor, Matt FX Feldman. Matt, who’s also contributed musically on Hulu Comedy’s Difficult People, is currently the resident music guru/on-air talent on MTV’s Wonderland, the network’s flagship weekly, live music series airing Thursday nights at 11:00 p.m. ET; 8:00 p.m. PT. The music of Broad City has become a critical part of the show’s storytelling, so this album will be the perfect gift for comedy-philes and music lovers alike. The creator of the animated show opener for Broad City, artist Mike Perry, is responsible for the album’s distinct artwork and packaging. Musical artists featured on the album include DJ Raff, Jarina De Marco, Zebra Katz & Kashaka, Ana Tijoux, Scooter Island ft. Junglepussy, K Rizz, Tasha The Amazon, Lizzo & Caroline Smith, Tony Quattro, Normaling, & RJD2. For you vinyl lovers, there will be an exclusive limited edition vinyl available at Urban Outfitters, also out on 10.28. One last juicy tidbit, a “Broad City” series soundtrack in-store, meet-n-greet event with Ilana Glazer, Abbi Jacobson and music supervisor Matt FX will take place on Tuesday, November 1 at the Urban Outfitters Space 1520 in Los Angeles. There will be a live DJ set from Matt FX himself! Don’t miss out on the album and in-person event, kids! Mentions: 11.1 Meet-n-greet show 7-9pm PT. Urban Outfitters Space 1520 is located at 1520 N Cahuenga Blvd #1, Los Angeles, CA 90028.